b. where your access and use is on behalf of another person, you confirm that you are authorised to, and do in fact, agree to these Terms on that person’s behalf and that that person is bound by these Terms. 2.1. We may change these Terms at any time by updating them on the Website. Where you have agreed to these Terms, we will give you reasonable notice, as is practical in the circumstances of any upcoming change. Unless agreed otherwise, any change takes effect from the date set out in the notice. You are responsible for ensuring you are familiar with the latest Terms. By continuing to access and use the Blinder Service following the date of change set out in the notice, you agree to be bound by the changed Terms. Agreement The agreement between Blinder and you governed by these Terms. Blinder, us, we, our Blinder Limited, a New Zealand company, company number 5768131. Blinder Service the software-as-a-service offering designed to enable VIP blind calling (and having the functionality described on the Website or in the User Guide), the Website and any other related services made available by Blinder. Confidential Information these Terms and any information that is not public knowledge and that is obtained from or about the other party in the course of, or in connection with, the Agreement. Our Confidential Information includes Intellectual Property owned by Blinder (and its licensors), including the Blinder Service. Your Confidential Information includes the Data. all data, content, and information (including Personal Information) owned, held, used or created by or on your behalf that is stored using, or input into, the Blinder Service. has the meaning given in clause 4.5.
the fees set out in the Pricing Page. any further terms and conditions setting out specific details and options that apply to your purchase of the Blinder Service, in writing and signed by both parties. in relation to an undertaking, that degree of skill and care that would reasonably be expected from an experienced operator engaging in the same or similar undertaking. includes copyright (including future copyright) and all worldwide rights conferred under statute, common law or equity relating to inventions (including patents), registered and unregistered trade marks and designs, circuit layouts, data and databases, confidential information, know-how, and all other rights resulting from intellectual activity. Intellectual Property has a consistent meaning, and includes any enhancement, modification or derivative work of the Intellectual Property. Blinder’s pricing information page, available here. applicable privacy and data protection laws. the online process of registering and setting up an account for your and your Permitted Users’ use of the Blinder Service. the date that you accept these Terms under clause 1.2 or 2.1, or as otherwise agreed in the Further Terms. as may be further described on the Website, but excludes any training. the software, hardware, IT solutions, systems and networks used by Blinder, including those provided by any other person, to provide the Blinder Service. the online user and technical documentation (if any) designed to assist you to properly use the Blinder Service, and includes any update of that documentation. a unique name and/or password allocated to you to allow you to access and use the Blinder Service. a maximum number of users, as set out in the Pricing Page for your particular purchased access plan, or as otherwise agreed in any Further Terms. the internet site at www.blinderhq.com or such other site notified to you by Blinder. any day that is not a Saturday, Sunday or public holiday (including a regional anniversary holiday) in New Zealand. a 12 month period from 1 January to 31 December, inclusive. The first Year of the Agreement is deemed to be the period from the Start Date to 31 December, inclusive. you, or if clause 1.2b applies, you and the other person on whose behalf you are acting. e. if there is any conflict between any Further Terms, the Further Terms prevail unless expressly stated otherwise in the Further Terms. 4.1. Trial: Where you have opted to access and use the Blinder Service (and the User Guide and any related services, including the Support Services) on a trial basis (Trial Service), then these Terms apply to your access and use of the Trial Service, except as varied in this clause 4. 4.2. Trial Period: Blinder will provide the Trial Service to you for a one-off free trial period of no more than 30 days (Free Trial Period). 4.3. No fees: No Fees are payable for your use of the Trial Service during the Free Trial Period. To avoid doubt, Fees are payable if you choose to access and use the Blinder Service following expiry of the Free Trial Period. 4.4. Evaluation: In consideration for the right to use the Trial Service during the Free Trial Period, you agree to evaluate the Trial Service and inform Blinder of that evaluation, in such format and with such frequency as Blinder reasonably requests, including all problems, issues and ideas for improvement of which you become aware (Evaluation). ii. Blinder will have no liability to you or any other person under or in connection with these Terms or relating to the Trial Service, whether in contract, tort (including negligence), breach of statutory duty or otherwise. c. on Blinder, to maintain any feature or part of the Trial Service in any version of the Blinder Service or any other service. 5.1. Start: Blinder will provide the Blinder Service to you from the Start Date on the terms set out in these Terms. b. you paying the Fees due at the relevant time. 5.3 Non-exclusive: Our provision of the Blinder Service to you is non-exclusive and non-transferable. Nothing in these Terms prevents us from providing the Blinder Service to any other person. b. act in accordance with these Terms and New Zealand law. iii. in the event of Force Majeure. We will use reasonable efforts to advise you in advance of any scheduled unavailability. b. The Blinder Service may interoperate with third party service features, e.g. through the use of web services and APIs. We do not make any warranty or representation on the availability of those features. Without limiting the previous sentence, if a third party feature provider ceases to provide that feature or ceases to make that feature available on reasonable terms, we may cease to make that feature available to you. To avoid doubt, if we exercise our right to cease the availability of a third party feature, you are not entitled to any refund, discount or other compensation. c. Blinder relies partly on third party service providers to provide Underlying Systems and to help Blinder deliver the Blinder Service. The availability and performance of any services and Underlying Systems provided by third party service providers is beyond the reasonable control of Blinder. Blinder makes no warranty or representation on the availability or performance of those third party Underlying Systems or services and will have no liability to you for any failure to provide the Blinder Service or otherwise as a result of any failure by those third party Underlying Systems or services. a. We may, from time to time, make available further services relating to the Blinder Service. b. At your request and subject to you paying the fees for those services, we may agree to provide to you those further services under these Terms. e. not decompile or reverse-engineer the Blinder Service or any Underlying Systems except to the extent expressly permitted by any law or treaty in force that cannot be excluded, restricted or modified by these Terms. 6.2. Information: You must provide true, current and complete information in your dealings with us (including during Registration), and must promptly update that information as required so that the information remains true, current and complete. b. immediately notify us if you become aware of any unauthorised use or disclosure of your User ID, by sending an email to support@blinderhq.com. e. not attempt to view, access or copy any material, data or information other than that to which you are authorised to access. a. You may authorise any member of your personnel, and if applicable your Permitted Users, to use the Blinder Service, provided you comply with the User Limit and procure each user’s compliance with these Terms and any other reasonable condition notified by us to you. b. A breach of any of these Terms by your personnel or Permitted Users is deemed to be a breach of these Terms by you. c. You must notify us in writing promptly on becoming aware of any circumstance that may suggest that any person may have unauthorised knowledge, possession or use of the Blinder Service. d. contacted us via one of the means set out on the Website. b. a breach of these Terms by you, including use of the Blinder Service in a manner or for a purpose not reasonably contemplated by these Terms or not authorised in writing by us. a. You are solely responsible for procuring all necessary licences, authorisations and consents for you, your personnel, Permitted Users and Blinder to use the Blinder Service, including to use, store and input Data into, and process and distribute Data using the Blinder Service, for the intended purposes of the Blinder Service and the other purposes set out in these Terms. ii. we may authorise a member or members of our personnel to access the Data for this purpose. b. You must ensure you have obtained all necessary consents for us to access, collect, hold, process and distribute the Data as described in these Terms. a. We may use Data to conduct research and statistical analysis (on an anonymised basis). b. We may disclose Data to the extent required by law. 8.4. Agent: You acknowledge and agree that to the extent Data contains Personal Information, in accessing, collecting, holding and processing that information through the Blinder Service for your benefit, we are acting as your agent for the purposes of any applicable Privacy Laws. 8.5. Backups of Data: While we will use reasonable endeavours during the term of the Agreement to back up all Data stored using the Blinder Service in accordance with Good Industry Practice, you must keep separate and regular back-up copies of all Data uploaded by you onto those Blinder Service, in accordance with Good Industry Practice. 8.6. International storage of Data: You agree that we may store Data (including any Personal Information) in secure servers in New Zealand,Australia and the United States, and may access that Data (including any Personal Information) in New Zealand, Australia and the United States from time to time. b. your, your personnel, or Permitted Users’ use of the Blinder Service for unlawful purposes. c. for any other reason permitted at law. 10.2. Notice: Blinder will notify you if it reclaims any phone number allocated to you, unless prevented by law from doing so. 10.3. Emergency: You must not rely on the Blinder Service for access to emergency services, whether via the local emergency number or otherwise. 11.1. Fees: You must pay us the Fees, in accordance with the applicable User Limit and the terms set out in this clause 11.
a. The Fees exclude GST, which you must pay on taxable supplies made under these Terms. ii. electronically in cleared funds to our nominated bank account set out in the invoice (or as may otherwise be notified to you by us from time to time) without any set-off or deduction. 11.3. Adjustment: We may increase the Fees from time to time on 30 days’ notice by providing notice on the Website and/or by email to your email address notified to us at the time of Registration. Fees updated under this clause are then deemed to be the Fees, from the date set out in the relevant notice. 11.4. Refunds: Fees are non-refundable except to the extent required at law. a. Subject to clause 12.1b, title to, and all Intellectual Property Rights in, the Blinder Service, all Underlying Systems and the User Guide is and remains our property (and the property of our licensors). You must not dispute that ownership. b. Title to, and all Intellectual Property Rights in, the Data (as between the parties) remains your property. You grant us a worldwide, non-exclusive, fully paid-up, transferable, irrevocable licence to use, store, copy, modify, make available and communicate the Data for any purpose in connection with the exercise of our rights and performance of our obligations in accordance with these Terms. 12.2. Know-how: To the extent not owned by us, you grant us a royalty-free, transferable, irrevocable and perpetual licence to use for any purpose any know-how, techniques, ideas, methodologies, and similar expertise gained by us in the provision of the Blinder Service. 12.4. Third party sites and material: You acknowledge that the Blinder Service may link to third party websites or feeds that are connected or relevant to the Blinder Service. Any such link does not imply our endorsement, approval or recommendation of, or responsibility for, those websites or feeds or their content or operators. To the maximum extent permitted by law, we exclude all responsibility or liability for those websites or feeds. c. disclose the other party’s Confidential Information to its personnel or professional advisors on a need to know basis only and, in that case, ensure that any personnel or professional advisor to whom it discloses the other party’s Confidential Information is aware of, and complies with, the provisions of clauses 13.1a and 13.1b. e. by us if required as part of a bona fide sale of its business (assets or shares, whether in whole or in part) to a third party, provided that we enter into a confidentiality agreement with the third party on terms no less restrictive than this clause 13. 13.3. Security failure: To avoid doubt, a failure by us to prevent unauthorised access, use or disclosure of Data is not a breach of clause 13.1a (or any other obligation) provided that we have complied with our obligation under clause 13.1b. You acknowledge that no system is 100% secure and that our obligation under clause 13.1b does not provide a guarantee that your Data will be secure against unauthorised access or loss (including hacking). 14.1. Mutual warranties: Each party warrants that it has full power and authority to enter into and perform its obligations under the Terms which constitute binding obligations on the warranting party. 14.3. Consumer Guarantees Act: You agree and represent that you are not acquiring the Blinder Service, or entering the Agreement, as a consumer and that the New Zealand Consumer Guarantees Act 1993 and any other applicable consumer protection laws do not apply to the supply of the Blinder Service or the Agreement. c. any third party data or any Data. 14.5. Limitation of remedies: Where legislation or rule of law implies into these Terms a condition, guarantee or warranty that cannot be excluded or modified by contract, the condition, guarantee or warranty is deemed to be included in these Terms. However, our liability for any breach of that condition, guarantee or warranty is limited to supplying the Blinder Service again and, in any case, subject to the maximum liability set out in clause 15.1. 15.1. Maximum liability: Our maximum aggregate liability under or in connection with these Terms or relating to the Blinder Service, whether in contract, tort (including negligence), breach of statutory duty or otherwise, will not in any Year exceed an amount equal to the Fees paid by you under these Terms in the previous Year. ii. fraud or wilful misconduct. iv. for those matters stated in clauses 15.3ai and 15.3aii. 15.4. No liability for other’s failure: Neither party will be responsible, liable, or held to be in breach of these Terms for any failure to perform its obligations under these Terms or otherwise, to the extent that the failure is caused by the other party failing to comply with its obligations under these Terms, or by the negligence or misconduct of the other party or its personnel. 15.5. Mitigation: Each party must take reasonable steps to mitigate any loss or damage, cost or expense it may suffer or incur arising out of anything done or not done by the other party under or in connection with these Terms. 16.1. Duration: Unless terminated under this clause 16, the Agreement starts on the Start Date and continues on a month to month basis for so long as you continue to pay the Fees. c. is unable to perform a material obligation under these Terms for 30 days or more due to Force Majeure. ii. you must cease to access and use, and we may prevent you accessing and using, the Blinder Service. c. Except to the extent that a party has ongoing rights or obligations to use Confidential Information, at the other party’s request following termination or expiry of the Agreement, a party must promptly return to the other party or destroy all Confidential Information of the other party that is in the first party’s possession or control. To avoid doubt, we are not required to comply with this clause 16.3c to the extent that it is not feasible using reasonable efforts to delete that Confidential Information or that we are required at law to keep. d. At any time prior to one month after the date of termination or expiry, you may download a copy of any readily retrievable Data that is stored using the Blinder Service. We do not warrant that the format of the Data will be compatible with any software. 16.4. Obligations continuing: Clauses which, by their nature, are intended to survive termination or expiry of the Agreement, including clauses 4.7, 8, 9, 12, 13, 15, 16.3, 16.4 and 17, continue in force. c. have otherwise breached these Terms (in our reasonable opinion). 16.6. Notice: We will use reasonable efforts to notify you where we restrict or suspend access and use under clause 16.5. 17.1. Good faith negotiations: Before taking any court action, a party must use best efforts to resolve any dispute under, or in connection with the Blinder Service or these Terms, through good faith negotiations. 17.2. Obligations continue: Each party must, to the extent possible, continue to perform its obligations under these Terms even if there is a dispute. 17.3. Right to seek relief: This clause 17 does not affect either party’s right to seek urgent interlocutory and/or injunctive relief. 18.1. 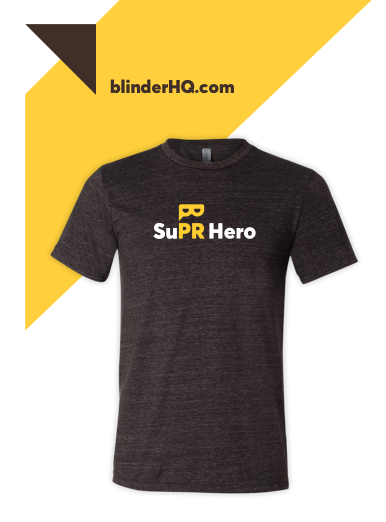 Publicity: You may use Blinder’s name, and we may use your name and logo (provided that we will not name any identifiable individual) in our respective promotional materials (including websites) for the purpose of acknowledging that you are a customer of Blinder. We each agree to follow the other party’s reasonable directions in relation to the use of the other party’s name and/or logo. 18.3. Rights of third parties: No person other than us and you have any right to a benefit under, or to enforce, the Agreement. 18.4. Waiver: To waive a right under the Agreement, that waiver must be in writing and signed by the waiving party. 18.5. Independent contractor: Subject to clause 8.4, we are an independent contractor to you, and no other relationship (e.g. joint venture, agency, trust or partnership) exists under the Agreement. a. by you under these Terms must be delivered to us via email using the email address set out below or as otherwise notified by us for this purpose. b. by us may be given to you via email using the email address provided to us on Registration or, where in our opinion it is reasonable to do so, by posting a notice on the Website. You agree that this satisfies all legal requirements in relation to written communications. 18.7. Severability: If any provision of the Agreement is held to be illegal, unenforceable or invalid, that provision will be modified to the extent necessary to remedy the illegality, unenforceability or invalidity. Any such illegality, unenforceability or invalidity does not affect the legality, enforceability or validity of the remaining provisions of the Agreement. 18.8. Variation: Except as provided in clauses 2.1 and 11.3, any variation to these Terms must be in writing and signed by both parties. 18.9. Entire agreement: These Terms set out everything agreed by the parties relating to the Blinder Service, and supersede and cancel anything discussed, exchanged or agreed prior to the Start Date. The parties have not relied on any representation, warranty or agreement relating to the subject matter that is not expressly set out in the Agreement, and no such representation, warranty or agreement has any effect from the Start Date. Without limiting the previous sentence, you and we agree that sections 9, 12A and 13 of the New Zealand Fair Trading Act 1986 do not apply. 18.11. Law: These Terms are governed by, and must be interpreted in accordance with, the laws of New Zealand. Each party submits to the non-exclusive jurisdiction of the courts of New Zealand in relation to any dispute connected with the Agreement.